One of the first foods I tried in Old Havana, Cuba was a fried starchy appetizer dipped in honey. I had no idea what it was, but I learned it was called malanga. Popular throughout different regions in Cuba, malanga has an unique flavor unlike anything I've ever tried in the United States. It is often confused with taro as it has a similar taste and texture. When shredded and deep fried, it makes a delicious dish. While traveling throughout Cuba, I learned that malanga is native to the tropical central and northern parts of South America. First discovered by Spanish explorers, it was first domesticated in Central America and brought to the Dominican Republic, Haiti and Cuba and other regions of West Africa. Malanga can grow in environments that are moist such as flooded areas or marsh areas that receive a high amount of annual rainfall. In Cuba, malanga is available in food markets and some produce shops. I noticed that it was a popular item in tourist restaurants and new to most travelers who were visiting Cuba for the first time. 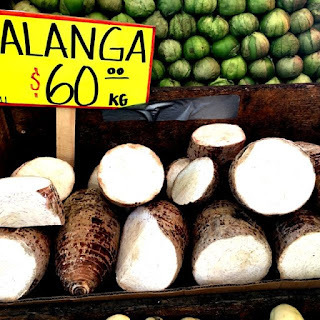 I tried malanga in Havana and Trinidad and they both had varying flavors and tastes. If you want to try malanga in Havana, I recommend La Catedral. Cuban cuisine has unique dishes to offer that will inspire you to go back for more. We are passionate about showing people what Cuba is all about. For information on our curated tours of Cuba, please visit us at solturatravel.com.